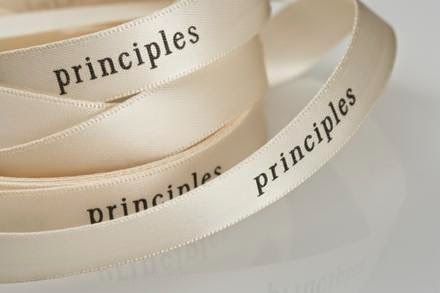 Here I post the principles I am committing to live by as an individual, but also together with others. In order to create a world that is Best for All Life and where a Dignified Life for All is guaranteed, we as people have to start living by the principles, through which we will accept only actions that are supportive for All Life. Everyone has to realize for oneself that such principled living is necessary in order to stop all the abuse of Life and stand as an example of what is Best for All Life. I have to be the living example and this is my goal, therefore I will be taking every principle / point from this list and give practical examples of how I am living every individual principle and how I have changed within it and how I am also consequently changing the world. I will be updating this blog and posting a link beside each point / principle to the blog where I will be exploring and explaining the principle / point in detail. 1. Realizing and living my utmost potential. 2. Living by the principle of what is best for all – guiding me in thought, word and deed to always in all ways direct problems to the best possible outcome for all. 3. Living by the principle of self honesty – to ensure I am pure in thought, word and deed: that my within and without is equal and one. Who I am within is who I am without and vice-versa. 4. Self Purification through Writing, Self Forgiveness and Self Application – the action of realizing I am responsible for my own thoughts, words and deeds, to forgive myself for transgressions and change myself to ensure I take responsibility for who, what and how I am and through this know that I can trust myself to always be honest with me and so others. 5. Living the principle of Self Responsibility – realizing only I am responsible for what I accept and allow inside of me, my relationships and my outside world and so with this responsibility: only I have the power and ability to change that which I see is compromising who I am, what I live and how this affects others. 6. Realizing that who I am in thought, word and deed affects not only myself – but others as well and so with Self Responsibility in thought, word and deed – I take responsibility for myself and so my relationships to be Self Aware in every moment and live in such a way that is best for me and so others as well. 7. Living the Principle of Self Awareness – to be aware, to see, to recognize my own thoughts and Mind, to be self honest to the extent where I can take responsibility for when I see my thoughts / Mind is not what is best for me / others and commit to immediately take responsibility and change for myself and so for others. 8. With taking responsibility for myself, becoming aware of myself – take responsibility and become aware of others in my life, to assist and support them as I am assisting and supporting myself – to give as you would like to receive and do the extra bit every day to see where I can contribute to other’s lives and so my own. 9. Living the principle of self trust – as I commit myself to remain constant in my living of self honesty, self responsibility and self awareness, I stand as an unbending trust that I always in all ways know who I am no matter what I face and that in this I know, as proven in the constancy of my living that I will always honour and stand by what is best for all and so best for me. 10. Making Love Visible – through me not accepting/allowing anything less than my utmost potential, I support those in my life to reach their utmost potential, to love them as I have shown love to myself by gifting to me my utmost potential, the best life/living experience and show others as I have shown myself what it means to LIVE. 11. No one can save you, save yourself – the realization that the tools and principles of Desteni is the guide, but I must walk the path myself. We are here to assist and support each other in this process from Consciousness to Awareness/LIFE and what it means to live – but the process itself, where you are alone with yourself in your own Mind: is walked alone. 12. Not waiting for anything or anyone to take responsibility for me and this world – but that I realize I have created who and how I am in this moment, therefore I have the responsibility to change who and how I am and so the realization that we as a collective created how and what this world is today and so it is the responsibility of the collective to change how and what this world is today. 13. Honouring the life in each person, animal – everything from the great to the small of earth, that we expand our awareness and responsibility to creating the best possible life for everyone and everything and so ourselves. 14. Relationships as Agreements: individuals coming together using agreements as a platform to one-on-one expand, grow and develop as individuals in life and living to support/assist each other unconditionally to reach their utmost potential where the agreement is a coming together of individuals understanding what it means to stand as equals and to stand as one. 17. I must in my thoughts, words and deeds – but most importantly in my living actions, become a living example for others in my world that is noticeable and visible when it comes to the potential of a person to change themselves and so change their world. So that more people can realise how we can change this world, by standing united in our self change within the principle of what is best for all to bring heaven to earth. 19. Through purifying my thoughts, words and deeds – my inner becomes my outer, so I bring into creation me as heaven into earth, realising it is not enough to ‘see the change / be the change’ – for change to become REAL it must be a constant, consistent living of me through the words I speak and the actions I live visible and noticeable to all in every moment of breath. 20. Realising that my physical body is my temple – my physical body is the living flesh through which and in which I will bring into being and create / manifest heaven on earth as me in my thoughts, words and deeds and so I honour, respect and regard – nurture and support my physical body as I would nurture and support me as equals: my body is me. 21. We are the change in ourselves and this world we have been waiting for: and so I commit to dedicate myself and my life for each one as all to realize this, as nothing will change if we don’t change in all that we are, within and without. 22. The realisation that for me to be able to change myself in thought, word and deed to the most effective living being that I can be and become – I first have to ‘know thyself’ and so commit myself to investigate, introspect and understand how I became who I am today, to prepare the road before me into self creation of a responsible, aware, self honest and trustworthy person for myself and so for all.